Tsaros Apartments are split in three blocks. 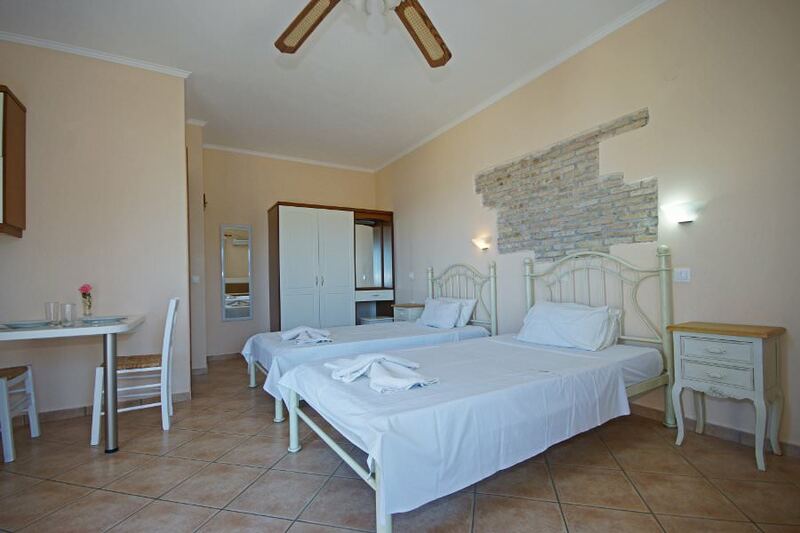 Block 1: Double one bedroom apartments & studios, with 1 double or 2 single beds. 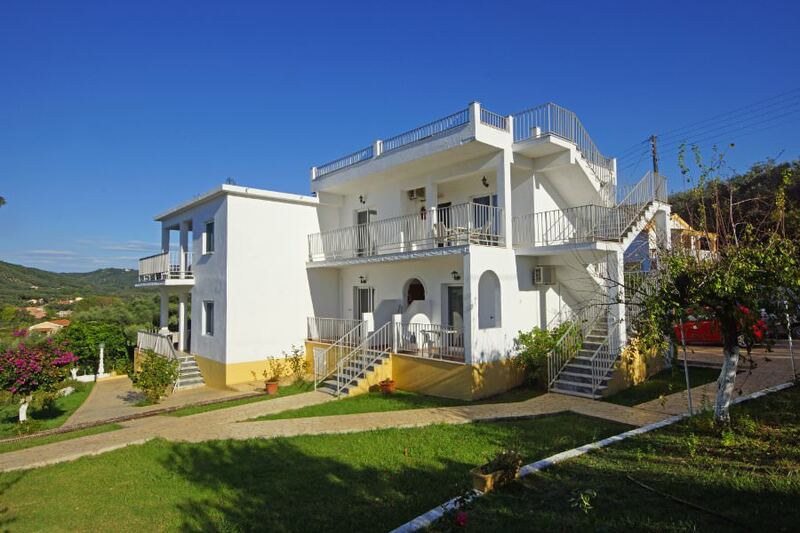 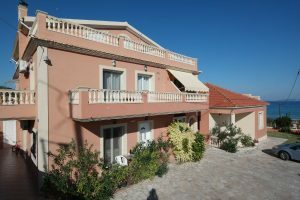 Block 2: Across the narrow lane consists of four double apartments, all having one bedroom with double bed and one with two singles. Block 3: Behind the first block, two bedroom apartments, with single beds, one bedroom on the ground floor and one on the upper floor, connected with internal staircases. 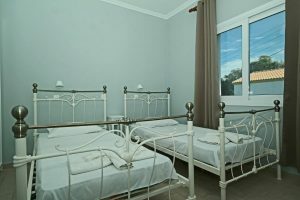 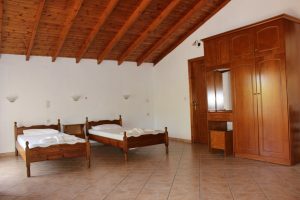 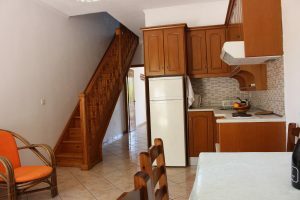 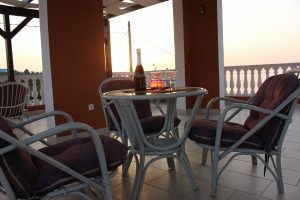 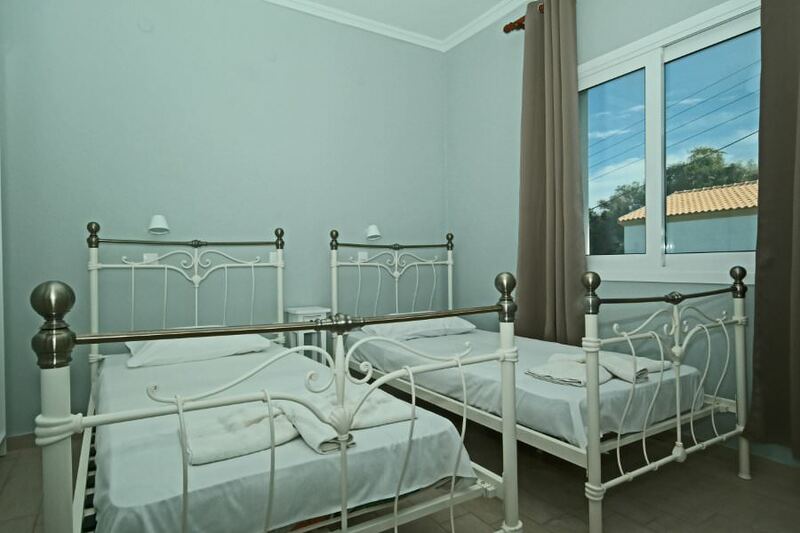 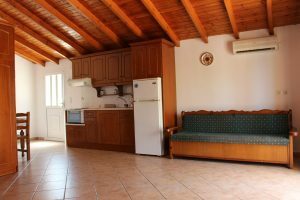 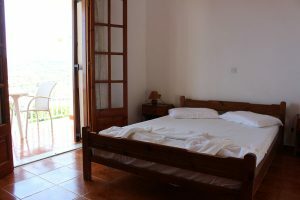 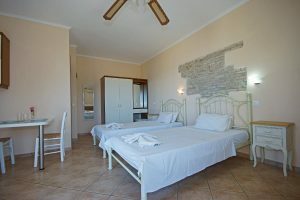 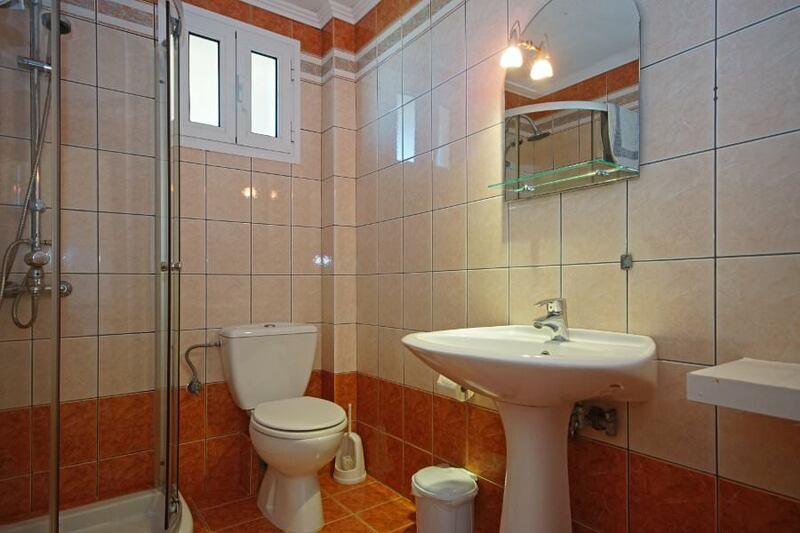 A large studio is also available, on the block’s upper floor, which has two single beds. 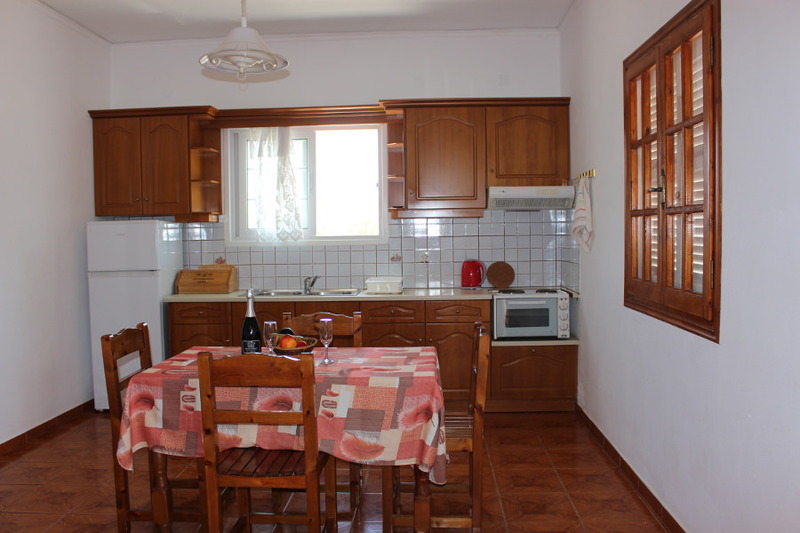 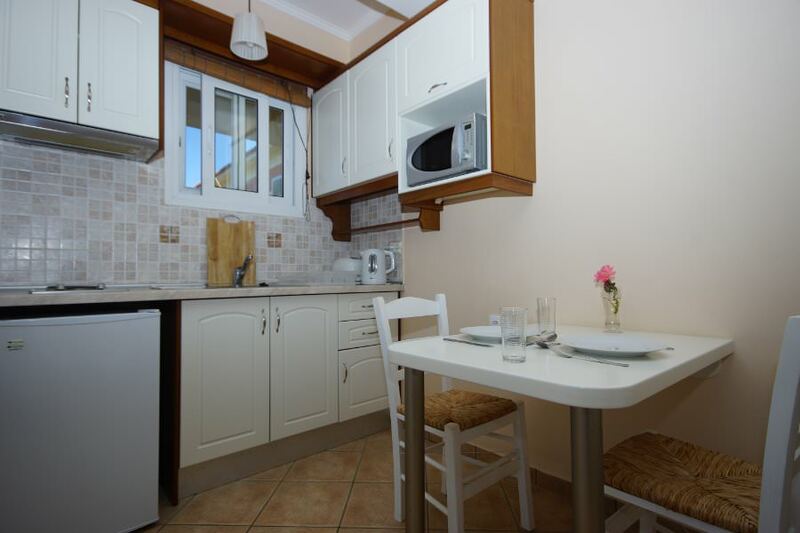 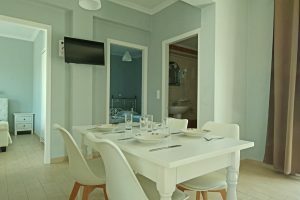 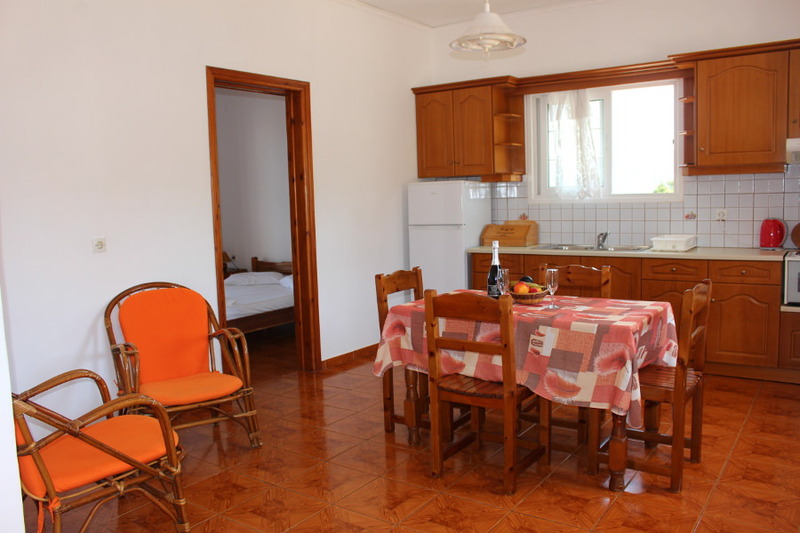 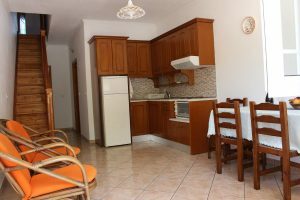 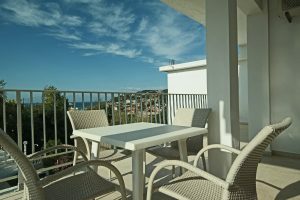 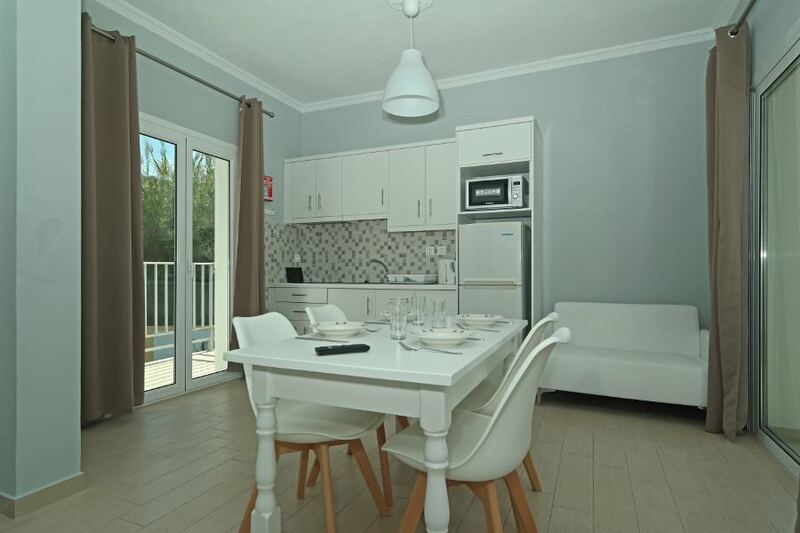 All our apartments have large kitchens with dining area, and are equipped with cooker, fridge and electric kettle. 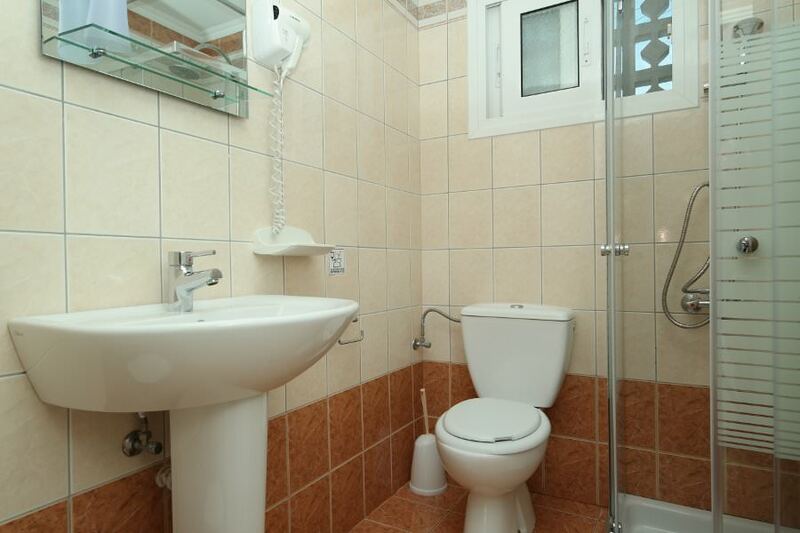 There is plenty of storage space, and all the fittings are of the highest quality. 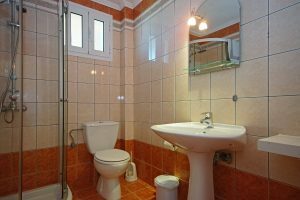 The hot water system is second to none, and the larger than usual shower rooms and toilets are well designed with shower curtains and top of the range fittings. 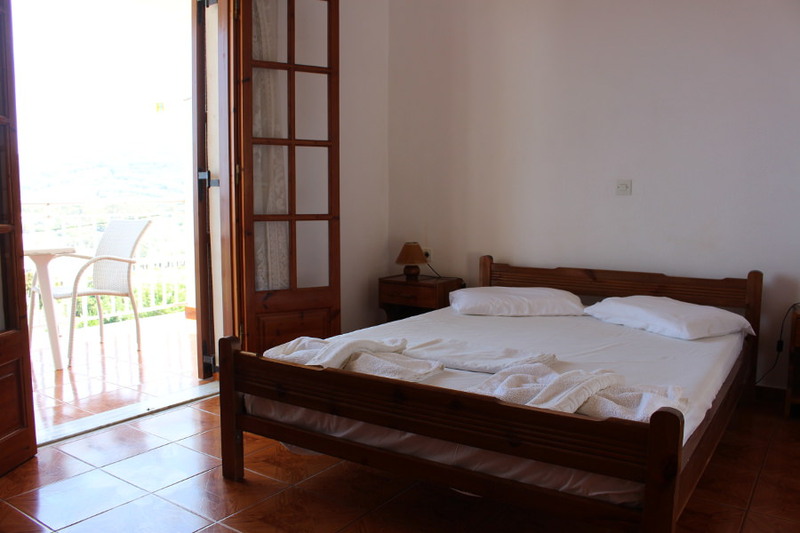 The bedrooms have fitted wardrobes with built in dressing table and mirror. 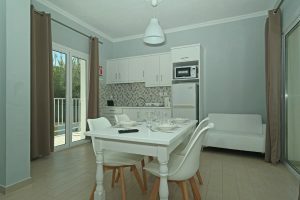 The gardens are attractive, and well tended, giving a pleasing atmosphere to the complex .They are award winning apartments, and are among the very best in the resort. 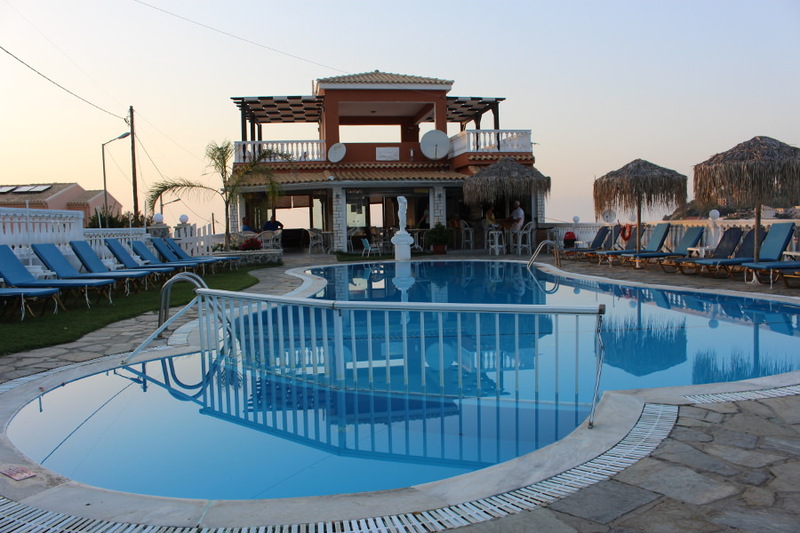 Our pool is about 50 meters lower down the hill and has 40 sun beds on lawn and paving around a shaped pool. 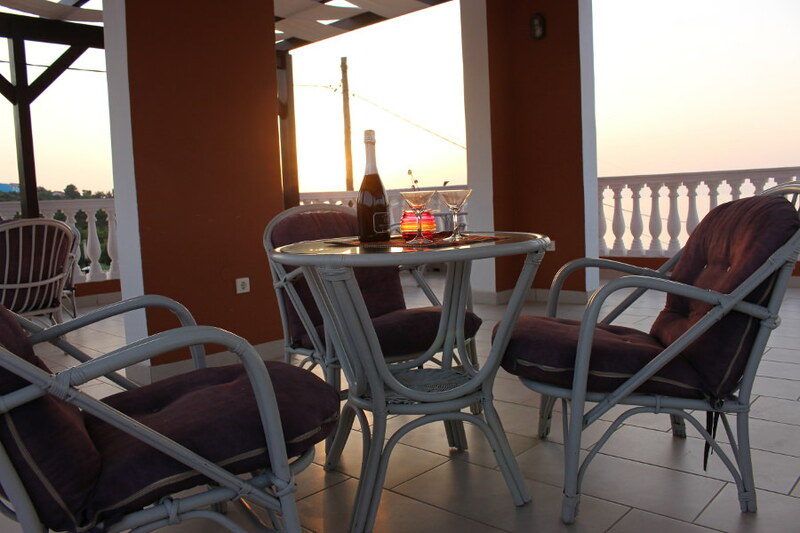 The surrounding traditional balustrades make it a very pleasant area in which to relax. 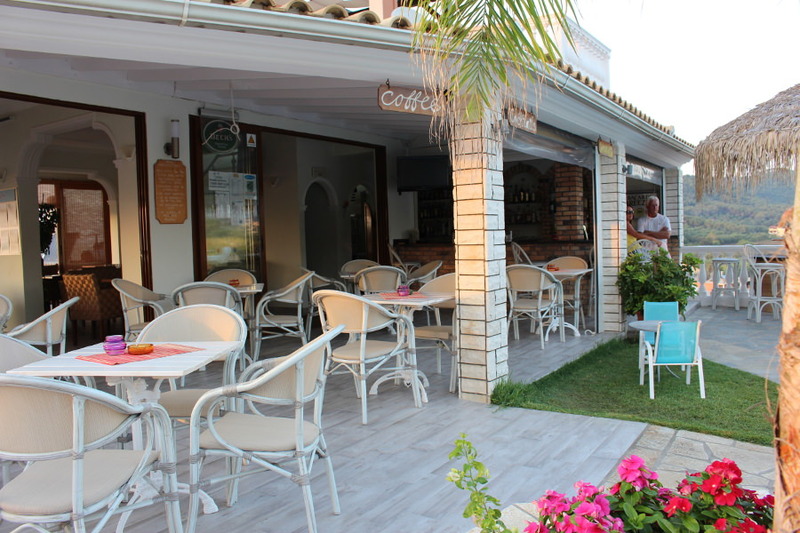 Breakfast is available at the pool bar until midday, and snacks until 4 pm. 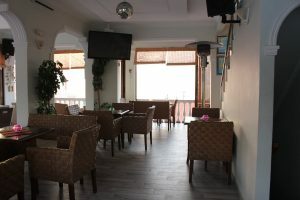 The bar has draught beers, lager and cider, with a comprehensive range of spirits, liquors and cocktails. 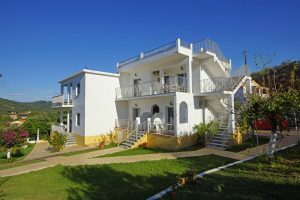 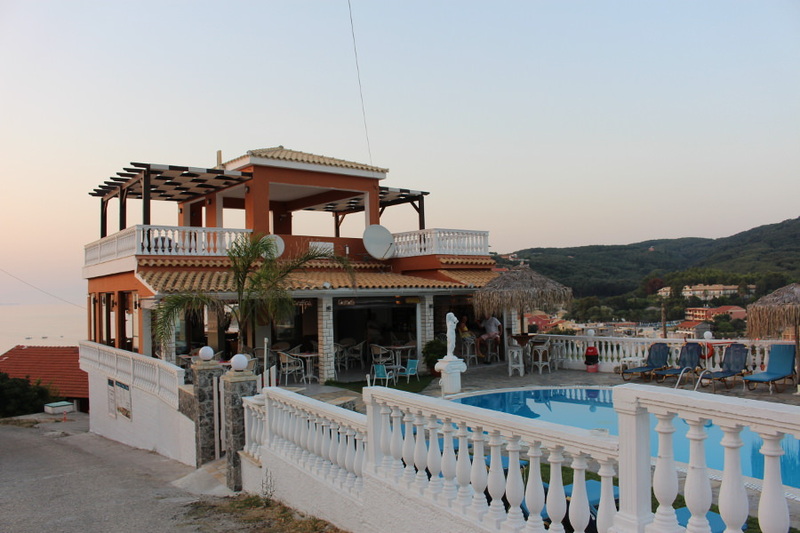 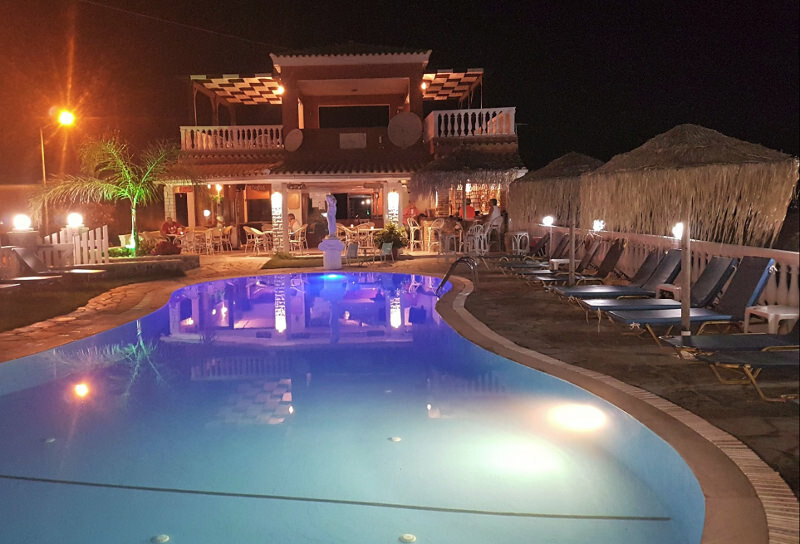 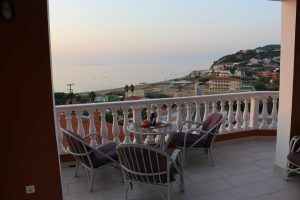 It is a very popular venue for visitors from other parts of the resort as well as Tsaros customers, and the friendly welcome makes for entertaining evenings. The bar stays open until late, depending on the requirements of the customers.